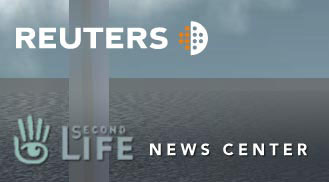 “Europeans make up the largest block of Second Life residents with more than 54 percent of active users in January ahead of North America’s 34.5 percent, according to new Linden Lab data,” as reported on Reuters/Second Life. “U.S. residents made up only 31.2 percent of active Second Life users in the month. France has the second-highest number of users after the virtual world became a battleground for the country’s presidential election.